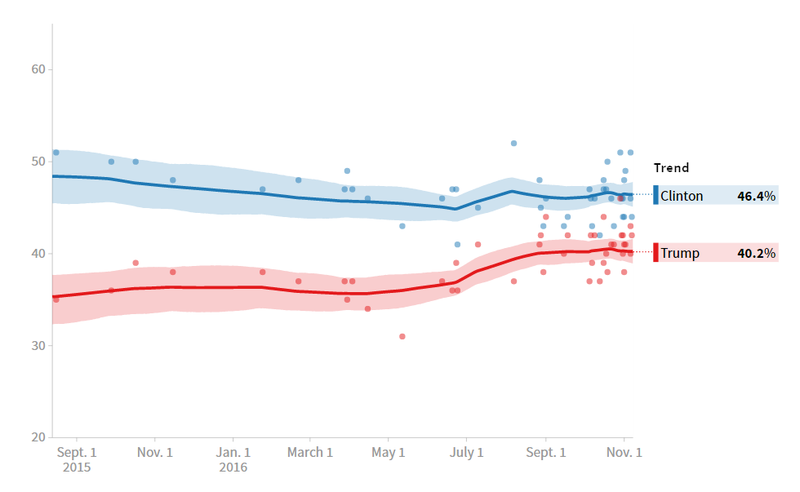 Despite nearly every poll indicating that Hillary Clinton would win a landslide victory this election, Donald Trump swept the electoral vote, even taking several traditionally blue states. Call it the Brexit Effect. 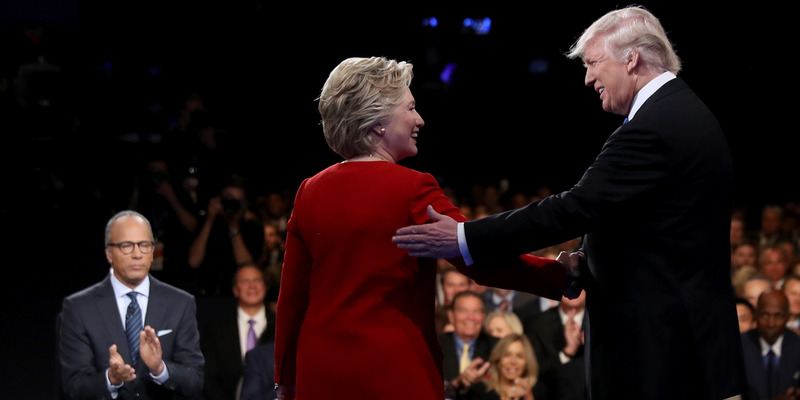 Though it was widely assumed that Clinton was a shoo-in to win, a view predicated on the notion that America couldn’t possibly elect a sexist, racist tyrant to its highest office, the pundits and pollsters underestimated the sheer animus of a huge swathe of disaffected, blue collar voters towards the political establishment. On Tuesday, they made their voices heard. America has hit the reset button. The perception among Trump supporters is that Clinton “reeks of Washington.” Even among democratic voters, Clinton is – perhaps unfairly – perceived as dishonest, elitist, and mired in identity politics. But however disagreeable her personal traits, which are outnumbered by her opponent’s, the biggest failure of her campaign was to overlook the Rust Belt, a huge stretch of middle America where people have been hit hard by a myriad of economic factors. Unlike Trump – who shamelessly pandered to the highest aspirations and darkest fantasies of his supporters – Clinton was unable to rally this core group, whom she dismissively referred to as a “basket of deplorables,” only fueling resentment towards her campaign and pushing potential voters into the hands of her opponent. This failure was aided by Trump’s offhand strategy to derail the national conversation by behaving as irrationally and incoherently as possible, so that it proved futile to attempt to rebut him rationally and coherently. This was even part of the appeal, Trump by no means being a consummate politician, but someone who supposedly freely speaks his mind – ad nauseam – unrestrained by the normal parameters of civil and political decorum. Clinton and her supporters in the press assumed that America would repudiate Trump’s despicable attitude towards women and minorities. 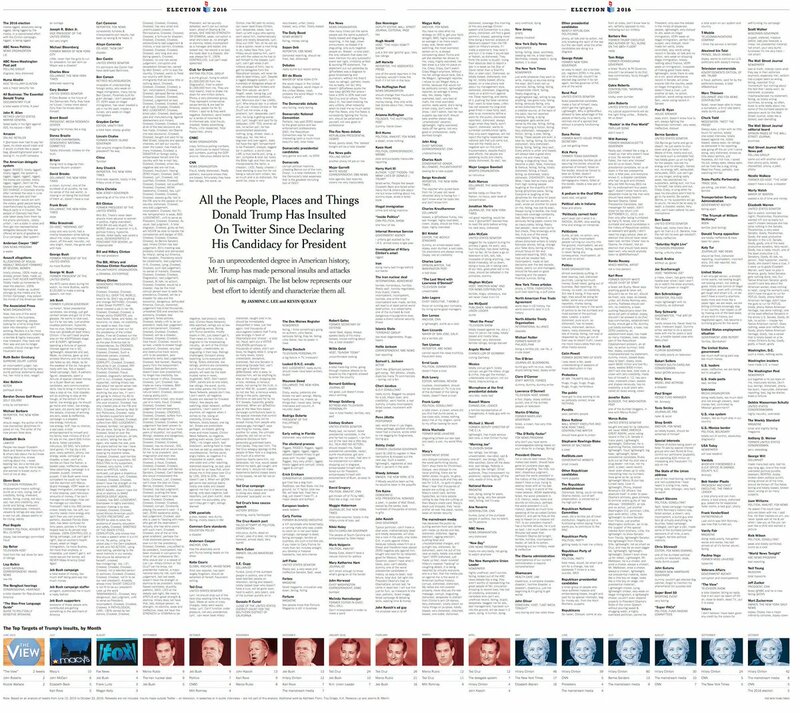 Last month, the New York Times even published an exhaustive two-page spread listing all of Trump’s insults since declaring his candidacy. They were puzzled as Trump’s popularity continued to grow, his supporters greeting each new verbal transgression with unbridled enthusiasm. Ultimately, Trump won because Clinton failed to persuasively address the deep-rooted cultural and class divisions that exist in America. Like Brexit in June, a large number of disaffected, largely working class voters were handed the rare opportunity to make their voices heard, and that’s exactly what they did.